@ Shani9999 You have got some serious issues. You got carried away protecting the interests of your masters. Why don't you tell us that you are the one who actually advised IMC on Fortuner. I am sure you are the research company IMC hires for car surveys. Now, if you had read this whole thread rather than just a few posts then you would have known what my spending limits are. Let me make it clear once again, it's over 6 million but I am not a fool to spend it on an expensive, small and feature less SUV like Fortuner. You also didn't read the fact that me and mani9999 have been waiting for 6-8 months for this car to be launched. Check our participation in various threads. My 90% posts are on Fortuner. You also took a cheap shot at discriminating people based on their financial status. If a person riding a motor cycle doesn't dream of owning a Land Cruiser one day then you won't be seeing millionaires or billionaires in the world. Staring from a salary of Rs. 3,000 10 years ago I can today afford to buy a car in 7 million range but I am not a fool to spend it on an over priced car. Let me tell you another fact, that 7 million is only a small fraction of my net worth and trust me it's hard earned. I never wanted to bring it up neither am I a show off. Everyone is entitled to their opinion and we are discussing an unfair practice by IMC. You need to learn to respect people's financial status. 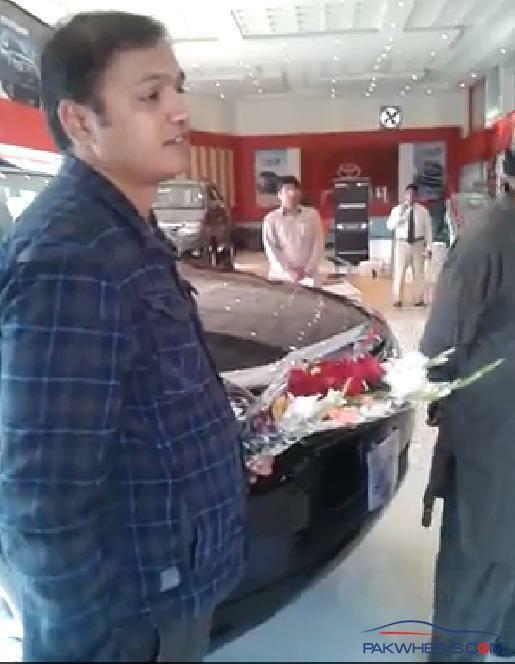 Since you are so much aware of the taxation and Pakistan's investment laws why don't you explain all of us how IMC is able to sell Altis cheaper than other countries but they couldn't do the same for Fortuner? If your answer is, it's 100% imported then give us links to the applicable taxes on imported parts on FBR site. Since we all are a bunch of ignorants please set the record straight. Since you are defending IMC, I also wanted to find out if a profitable company like IMC has to invest their profits back in the business then why didn't IMC change shapes of two Corolla models for 12 years and then 7 years? They only started doing it because their competitor Honda changes it every 4-5 years. Suzuki has never done that since the beginning. However, Honda that seems to loose money changes shape with in 4-5 years. What's your take on that? The 3rd question is; why is IMC still assembling only 3 cars whereas it's a known fact that Vitz is one of the most popular and successful cars in Pakistan. Two of the locally assembled cars haven't had an assembly line change for almost 10 years? Don't give me market scope, research or demand crap. If you look up for used vehicles on Pakwheels from year 2000 onward you will see 1700 Corolla, 1000 Vitz and 400 Coure. So there's enough scope for Vitz. It looks like you are in a hurry to repair bad reputation of Fortuner before the launch and asking us to get off this discussion because "we are not buyers anymore" Best of luck with that! 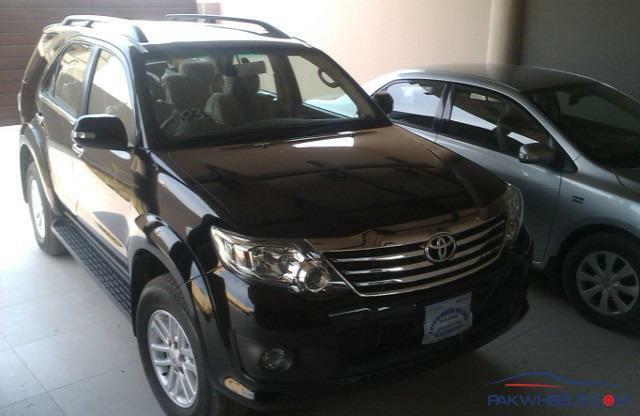 Most of the 50 fortuners from lahore are dealer bookings. One dealer told me that they requested imc to give 20 vehicles but they are only able to give 10 per dealership in march. So naturally anyone booking now will get delivery in April so there's no extra ordinary demand for it. In my opinion they are going to meet their target for the first year. It's the 2nd year we need to see. OOOPSSS! KSK got flamed here. Buddy, I never meant to hurt anyone's feelings and trust me I don't belong to IMC or it's business in anyway. I am a dentist, an MBA and a Web Developer. YOu need to trust me like you trust in your hard earned money. Dear, that's what I said, you were waiting for 6-8 months, 7 million is a fraction of your net worth then why aren't you buying it, come on that's what I said it's launched now and those who can't afford (though you have the money, but still you can't afford) should leave this thread to other millionaires. One of my friends is buying it as a secondary vehicle for family to be run by a driver. People got so much out there that they aren't interested in blah blah going on here. For you it's an over priced car but what about 50 bookings? for many it's not over priced. I want to quote an Urdu saying here "Paise ka hona or Naseeb mein hona are two different things". People earn billions but ride on Toyotas because enjoying that money is not in their Naseeb. Go get it bro without a second thought if you were seriously concerned about it for 6-8 months, spend a fraction of your net worth. Read my post again. You are making 90% of the posts and you didn't buy or planning to buy it in near future. Why are you wasting your and others time for the things doesn't pertains to you. If I am here and making the posts and defending fortuner is because, I got it delivered. Again, you read my post superficially. It's been over 5 years now they are making Altis, all parts of it at the rate of 20% per year being made in Pakistan or being acquired by third parties from Karachi, Gujranwala and Lahore. Except for the engine or few other things. So, they are able to sell it cheaper. And people will be saying the same for Fortuner after 5 years with the fluctuating dollar prices and down the road purchase of it's parts within Pakistan from local vendors. >> why didn't IMC change shapes of two Corolla models for 12 years and then 7 years? Again, the lack of reading of my post and I have to re-emphasize things for you. Statistics, buying pattern, demand and decisions of management of a company. If something is selling hot and you are market leader (at that time) why to get in a mess for changing shapes? They knew at that time it's hot cake (people were paying owns) and regardless of shape people were buying it and they knew even if they change the shapes it's not going to effect their sales (sales were already at the ceiling) and targets were achieved, then why to make additional investments for new shapes? It's the rule of business to get maximum out of minimum investment. Like Dettol, Lifebouy and Sufi Soap and a simple match box who never changed their wrappers even since their inception 30 years back, why toyota should have changed their model, if the things were going smooth and they were achieving their business goals? And they did follow the same startegy for Fortuner, at 5.2 million. Take it or leave it because they know they will be able to meet the demand under their limited production line and again the leader for local 4WD market. So after 12 years and 7 years, the market shifted, they aren't the learders in cars market and they started changing shapes to keep pace with competitors, simple! LOL, they kept changing shapes that's why they lost money. Toyota people weren't fools (per market startegy at that time). Why to take risk of changing your products if you are making tons of money? You never know how people will react to a new product and with a launch of new model every 2 years, you are depreciating the after market value of your previous models yourself. Now you can well understand it. They are doing damn good and they wouldn't change it unless they see some serious business threat. >> It looks like you are in a hurry to repair bad reputation of Fortuner before the launch and asking us to get off this discussion because "we are not buyers anymore" Best of luck with that! Yes, I agree 101% on this. Since you are so much aware of the taxation and Pakistan's investment laws why don't you explain all of us how IMC is able to sell Altis cheaper than other countries but they couldn't do the same for Fortuner? I think I've the answer to this question, I once asked some IMC person why you make same body shape for 1.3 & 1.8L, she said it is to achieve economies of scale otherwise 1.3L Toyota couldn't be competitive with City and 1.8L couldn't be competitive with Civic. 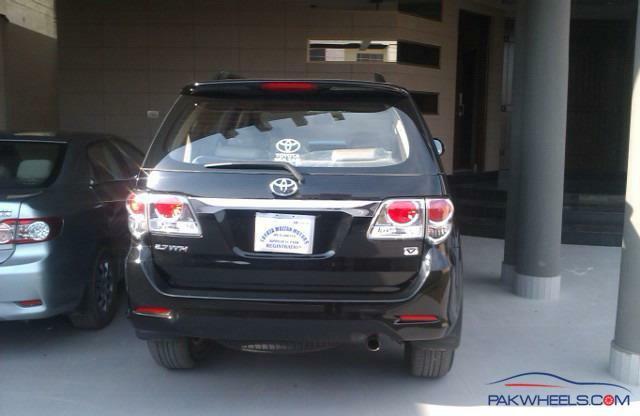 I believe economies of scale is the reason Altis is cheaper in Pakistan than other countries, and Fortuner is not. In India it sells around 13,000 Fortuner but their market is also very big like 700,000 a year. One more thing somehow Indian Fortuner is 3.0L D4D but 4x4 is M/T and 4x2 is 5A/T. Pakistan is 4x4 4A/T so I think 5A/T is not designed for 4x4 ? maybe? Unless an independent government agency does not steps in to look after the consumer interests; IMC, Honda etc are going to continue with their current strategy. They don't care about the consumer. They only care about what's in his wallet and how they can get the most out of it without any effort. There is no Pakistani car market. It was set up by luck and promoted through back channel money. If they had any sense of vision they would have promoted a proper car culture over here. But even after so many years they're still concerned about making money. They're not a bunch of idiots just devoid of a sense of duty, what is right and what is wrong. Kind of like the village Sardar. @ Shani9999 I am not going to give you answers to your comments on monetary decision one makes since your arguments are pointless and without logic. I have given my reasons and I am not going to repeat them again. As you accepted that you are trying to repair IMC's image but you have damaged it more by saying why should they change a shape or invest when it's a hit. That's exactly what we have been discussing; unfair business practices by Pakistani owned IMC. You also proved our point that this vehicle is priced for fools who don't care about money and they would even buy it even if it's 7 million. IMC has been an opportunist from the very beginning trying to get money out of people's pockets in crooked manners. Since you have now disclosed that you got your Fortuner delivered then why don't you write your review about it and post some pictures. Why aren't you enjoying it and getting insecure about the money you spent on it? Is it not worth it? It's Sunday, please take some time out to write review and post some pictures. We'd like to hear more from real Fortuner owners! Correct! that's the real reason why Altis/Corolla is cheaper because it can't compete with Civic in urban areas. When it comes to quality Toyota is far behind Honda. 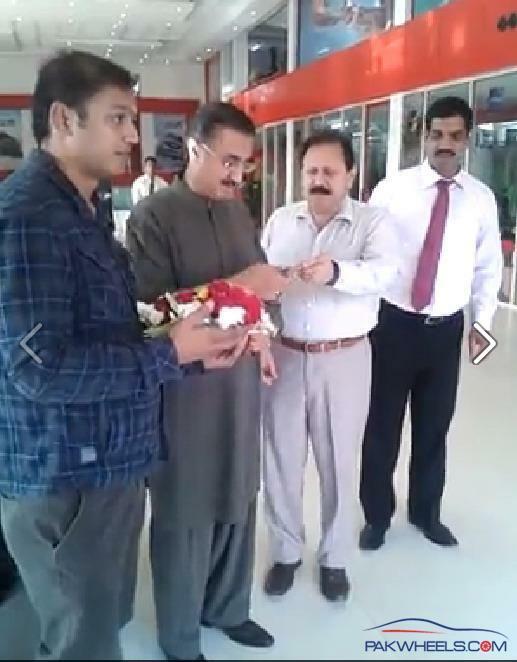 Delivered on 8th March on the day of Launch and being the First customer, it was a little ceremony. Not going to write a review, already said what I had to. To all of you including me, we all have driven SUV's before and brand new cars as well. But in my opinion it's worth 5.2 million. The problem with me is that I can't drive a "Lande ke SUV", I would like to drive a brand new. Thanks to all of you! My last post in this discussion. The brochure was also very good. 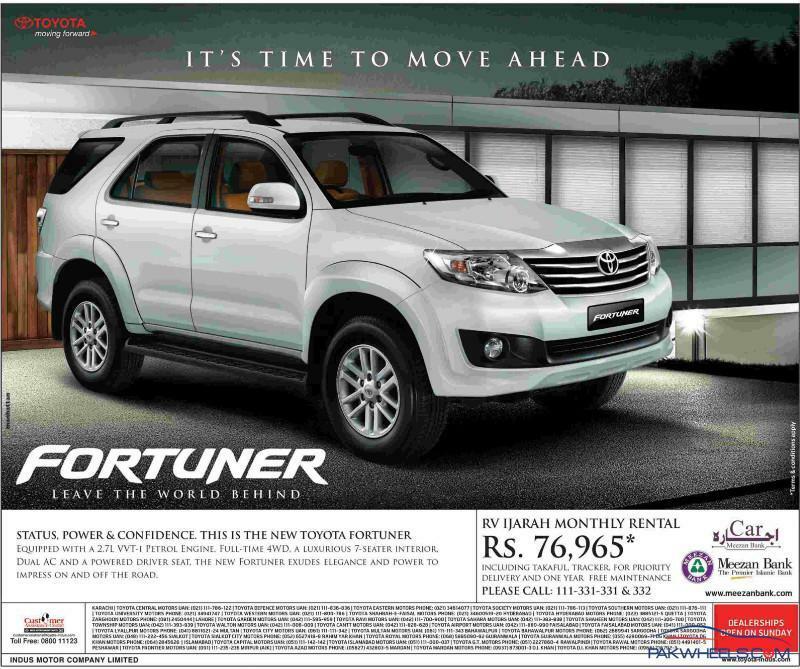 Now that's an appropriate way of telling that you bought fortuner instead of being touchy and insecure about it. Or try to prove or degrade others that you got money and others dont. We are not going to say its a wrong decision but congratulate you. Of course you are 1 of 2000 customers imc wants! see black one looks best ....all the black plastics are merged into the color. its overall a good suv.... (roll na kr jae i hope.) what everybody knows is its overpriced......... ab ye apna decesion ha that you want it that bad or not......... by the way IMC will see sales only in first month. they were not sure about the second month of launch. dealer told me. I'll give it until May because elections hain. It's just launched so people will respond. One thing that I don't understand is why isn't IMC doing a massive campaign? I was expecting full page Ad in Jang and News today but there was none. Only half page Ad on Saturday. I think it's true that they know what the sales are going to be at such a high price so they are not wasting money on it. Plus I think they know keh jis jis nay yeh gari layni hai woh lay ga he her haal mein aur her price pe so why do a massive campaign. @shani9999 Congrats Brother....Enjoy your new ride and always drive safe. no offence taken but i have never said these SUV r for racing or taking above 100kph...plz do read my comments again n clearly!! 2ndly u havent expain about how Honda Atlas selling new honda civic price cheaper than Honda Thai price wheras Toyota Indus selling 8-9-lacs more than Toyota Thai.....if u want to compare then compare fairly...fortuner is the cheapest toyota SUV such as suzuki got mehran....now my ques is shud ppl buy 9 lacs rs new mehran or shud they buy jdm imported suzuki alto or suzuki kei!! To me it means that 5-speeds in A/T is not good with 4x4 while 4-speeds are Ok. Thanks god IMC didn't compromise on 4x4 for 5AT like in case of their Terios.